Published in Canadian Property Management (November 15, 2017). In order for energy use to be effectively managed, it must first be measured and understood. Local governments and property owners all across British Columbia want large buildings to be required to track their energy and water consumption, and to report this data to the province every year. This practice, known as building energy benchmarking, is a key tool for driving conservation and efficiency, and reducing carbon pollution. Benchmarking allows property owners to compare the performance of their buildings with historical use and similar buildings. This, in turn, helps building owners identify opportunities to save energy and water, and thereby save money on utility bills and curb pollution. Studies by the U.S. Environmental Protection Agency, Urban Land Institute, and Massachusetts Institute of Technology suggest benchmarked buildings can achieve energy savings of 7% to 14% within four years — even before any major investments in deep retrofits. Reducing energy and water waste can save British Columbians millions of dollars every year. Over 3,000 buildings in B.C. and 16,500 buildings across Canada already benchmark their energy performance through the Energy Star Portfolio Manager platform, the industry standard tool maintained by Natural Resources Canada. The largest building managers in the country already recognize the benefits that benchmarking can have in reducing operating costs and enabling enhanced energy management. Disclosure of this data can help tenants and owners to make more informed property decisions, which leads to markets placing a higher value on energy- and water-efficient buildings. In September, the Union of B.C. Municipalities passed a resolution calling on the B.C. government to make energy benchmarking and annual reporting mandatory for large buildings, and to make energy data available to local governments to inform their regulations and climate-change programs. Such requirements are not novel; this low-cost, market-based approach is already being used in 25 North American cities, Ontario, Washington, and California, and numerous jurisdictions in the U.K., Europe, and Asia. The B.C. government has previously committed to implementing a benchmarking requirement across the province. In December 2016, B.C. signed the Pan-Canadian Framework on Clean Growth and Climate Change, which calls for building energy benchmarking and disclosure policies. Likewise, the province is a signatory to the Pacific Coast Climate Leadership Action Plan (an agreement between B.C., California, Oregon, Washington, and Alaska), which sets a target of 75% of large buildings reporting energy data in the region. While local governments may be enabled to establish benchmarking requirements, we believe that a provincial approach is likely to be the most administratively simple and impactful means of enacting benchmarking requirements in B.C. This approach is being taken for Ontario’s Energy and Water Reporting and Benchmarking initiative, which will enter into force for very large buildings (250,000 square feet or larger) on July 1, 2018. Mandatory reporting for other large buildings (50,000 square feet or larger) will follow, and will be in place by 2020. Given that Ontario is introducing Canada’s first subnational program, and more and more Canadian jurisdictions are expected to introduce benchmarking and reporting policies, a consistent approach is needed. B.C. could use Ontario’s framework as a blueprint. This is a concrete step forward the new B.C. government can take on climate leadership while saving money for British Columbians. In order to successfully implement a benchmarking and disclosure policy, the industry needs to be engaged as a key stakeholder. The varying capacity of building owners, operators, and landlords across the sector makes training and capacity building essential, especially for those managing smaller buildings. It is important that publicly disclosed energy use data be accompanied by a plan to build expertise and improve performance among those who do not have as much experience with energy management and complex building systems. Industry associations and governments have a key role to play in ensuring that mandatory reporting and disclosure benefits the whole industry, not just the largest owners. 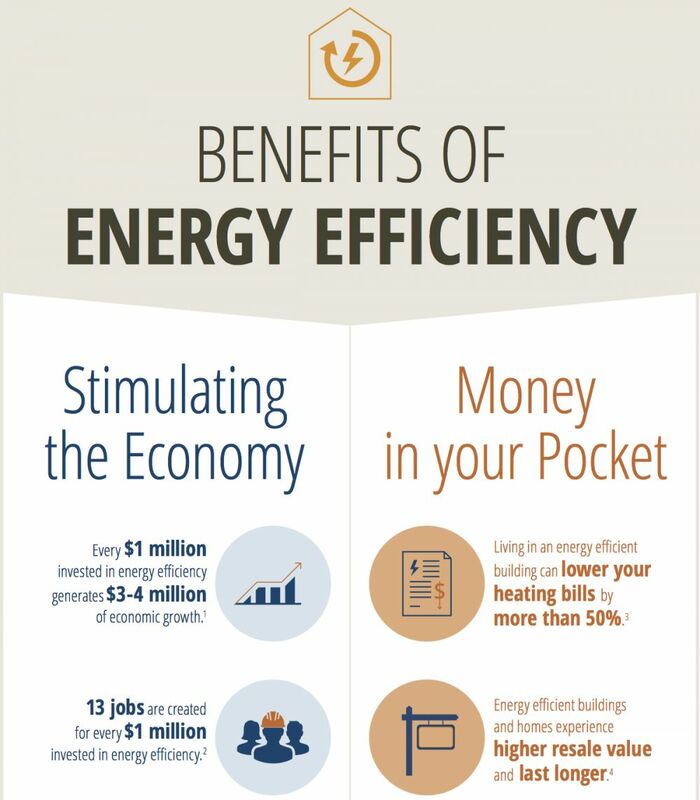 The benefits of improved energy efficiency to the public are many. Canadians spend 90% of their lives indoors, which underscores the importance of tapping into the multiple benefits of efficient homes and buildings. Every $1 million invested in energy efficiency generates 13 jobs and $3-4 million in economic growth. Energy-efficient buildings last longer and can fetch higher resale values. Ultimately, taxpayers also benefit from reduced energy consumption as a result of fewer utility infrastructure upgrades being required to supply buildings with energy. Taking action on building energy benchmarking is a win-win for British Columbians. The implementation of a consistent benchmarking and disclosure policy in B.C. would provide a low-cost and effective tool to reduce carbon pollution from buildings. Promoting high levels of energy performance will improve the quality and health of the homes and buildings in which we live and work, create jobs in the clean economy, and support innovation in the local supply chain. This article originally appeared in Canadian Property Management on November 15, 2017. Tags: British Columbia, Provincial Policy, Energy Efficiency, Buildings.